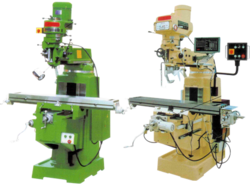 We have gained immense recognition among clients by providing an excellent quality array of Ram Turret Milling Machines. These machines are perfect for machining of solid surface. Available in various specifications & dimensions. Our range of Ram Turret Milling Machines can perform vast number of operations ranging from simple to complex. These machines can be manually operated, mechanically automated and can also be digitally automated using computers. 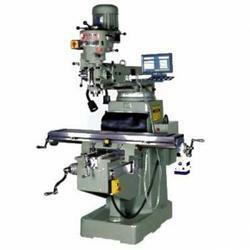 Owing to the wide experience in this domain, we are instrumental in offering Ram Turret Milling Machine to our clients.